Italians Gabriele Pardi and Laura Fiaschi, founders of Gum Design, and master Shinji Terauchi from the Japanese Riso Porcelain of Arita, collaborated on the creation of delicate works: useful objects that are also extremely poetic. Gum Design, whose works are present in the most important international museums of design and applied arts, met Riso Porcelain thanks to Hands on Design, which works between Italy and Japan to encourage dialogue between design and high quality manufacturing with the aim of creating exceptional objects. “We have tried to create an invisible bridge between Japan and Italy that could allow things to communicate without words, like a trace between what is visible and what is absent, between what is full and what is empty,” said Gabriele and Laura, commenting on their experience. The InVersi collection was born thanks to a rigorous and respectful dialogue between a contemporary project and centuries-old savoir- faire, always in the name of beauty. 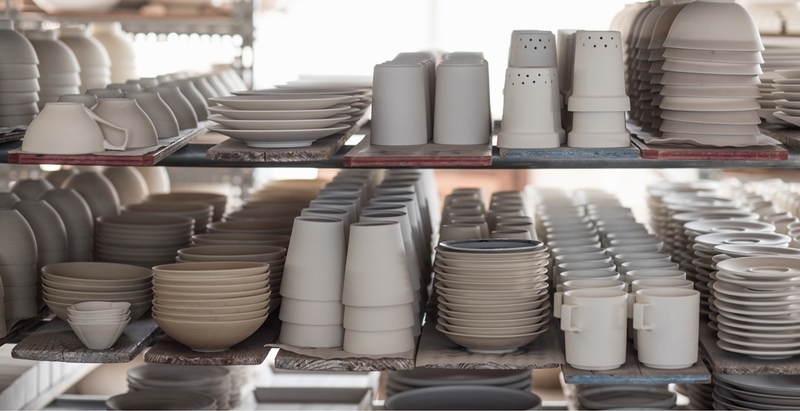 The Riso Porcelain company is rooted in the region of Arita, renowned for the production of traditional Japanese porcelain since 1600. Shinji Terauchi, fourth generation, trained as a designer before deciding to dedicate his life to his company: “We used a 3D printer to make a plastic model of the bird and moulds. After slip casting and biscuit firing, we decorated the bird with the traditional aritayaki hand-painting. The spouts of the pitchers are anti-drip, so you don’t need to worry about dropping water,” says the master.